Registration for the 2016 National Design-Build Student Competition is now open until September 2, 2016. The two-phase competition brings together teams consisting of five students from diverse fields of study (two students must be from design or architecture program) collaborating on Request for Qualifications (RFQ) for a parking facility on a liberal arts college campus in the United States. Finalists will then respond to a Request for Proposal (RFP) and the top three shortlisted teams will present in person at DBIA's Annual Conference in Las Vegas. For more information and to register, click here. As part of the new committee structure, DBIA has developed an International Committee to determine methods by which DBIA can expand our footprint and our reach to encompass international design-build. Ultimately DBIA wants to be recognized for Design-Build Done Right™ worldwide, educating those in emerging markets and collaborating with those in more developed markets. In order to enhance opportunities for members currently or interested in working in the international marketplace and partner with international organizations of architects, engineers and contractors to reach new markets, we must first determine where we stand in the international market. We'd like to start this endeavor by developing a database of DBIA members that are working or have the goal of working internationally. We ask that you take a few moments to participate in this survey*. DBIA Accepting 2017 Board Nominations – Nominate Someone Today! On behalf of the DBIA National Board of Directors, we invite DBIA members in good standing to submit nominations for the 2017 Board of Directors. We are seeking candidates who understand and support DBIA’s mission and goals and who are committed to advancing the understanding and use of design-build project delivery across all sectors and markets. In filling board vacancies, DBIA strives to represent diverse segments of the industry and diverse geographic regions, as well as to ensure gender and racial diversity. Such broad diversity will help ensure a cross section of unique skills, wide-ranging expertise and the varied perspectives needed to help DBIA achieve its strategic goals. Nominations are due by April 29, 2016. 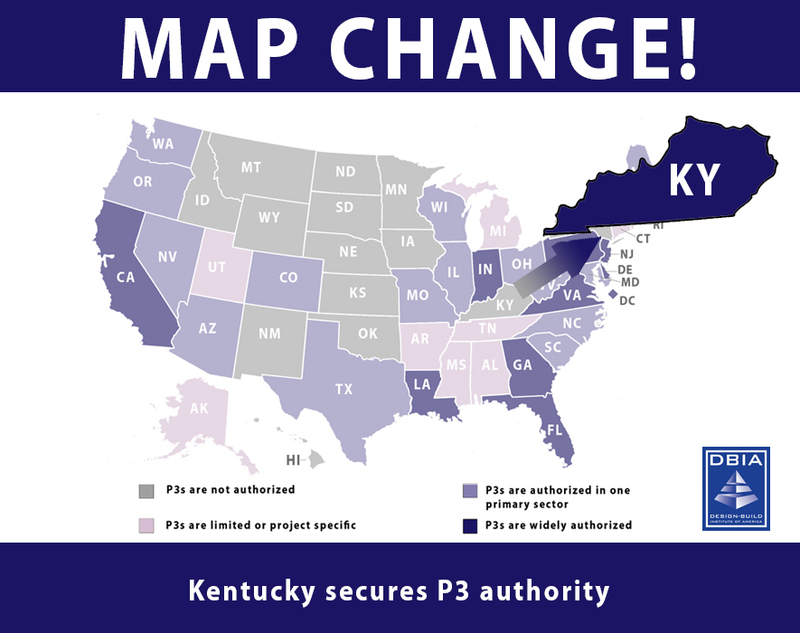 Kentucky has joined 36 other U.S. states in authorizing the use of public-private partnerships (P3s) for capital projects, which are almost always done using design-build. HB 309 was introduced with the support of Kentucky Governor Matt Bevin and passed the legislature by sizeable majorities. This law provides a framework for the state to utilize P3s for capital projects and services by state government. DBIA is happy to report that it was signed by Governor Matt Bevin on April 8, 2016. The New York State Legislature has passed, and Governor Andrew Cuomo has signed, a state budget with huge increases in infrastructure spending and a major victory for design-build. As proposed in his state of the state address, Governor Cuomo was able to increase infrastructure spending and authorize design-build for the New York State Urban Development Corporation and the New York Convention Center Development Corporation. Governor Cuomo made expansion of design-build authority a priority for the second year in a row and ensured the state’s ability to move forward on his major infrastructure goals. Name of the Game is Flexibility. Gridd Access Flooring is your Ace in the Hole. When your facility’s technology is outdated and it’s time to remodel you’ll be faced with myriad decisions but one thing is certain—you want to get it right. The key to getting your technology update right is making it flexible. And the key to optimal flexibility lays right under your feet in a low profile access floor solution called Gridd™. Repairing aging water systems, design-build projects, and industrial and marine projects are three of the 10 fastest growing categories in government contracting, according to an analysis by government bid data provider Onvia. The Pennsylvania Department of Transportation (PennDOT) is accepting unsolicited proposals through April for infrastructure projects involving public-private partnerships. The agency will consider proposals to build or improve roads, bridges, rail, aviation projects and ports — and those that suggest "more efficient models to manage existing transportation services and programs," the agency said in a press release issued April 7. An executive order Gov. Tom Wolf issued in February 2015 called for agency heads to use P3s to achieve $150 million in cost savings to reduce the state’s $2.3 billion budget deficit. It's hard to overstate the impact this public-private partnership could have on Denver. The city's main goal is to update the art center, make it a more lively and flexible space to serve the needs of a diversifying population whose tastes have expanded beyond traditional orchestras and operas. But the 10-acre project has vast potential — to reshape the urban skyline with its tall buildings; to keep an increasingly expensive downtown a place where everyone can afford to live and play; and to give Denver an iconic center of culture that inspires great art and commands attention near and far. The Central Texas Regional Mobility Authority is building a six-lane tollway from south of U.S. 290 to Texas 71 south of the river at a cost of $743 million, not counting financing expenses. There will also be two to three free frontage lanes on each side, each with bike lanes and sidewalks, replacing the current free road. 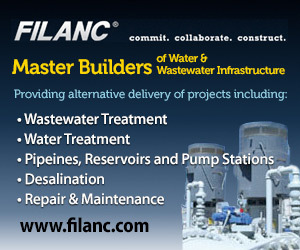 A consortium led by Fluor Corp. has the design and construction contract. As such, what is often times travelers’ first impression not just of the city of Atlanta, but of the U.S., it is in the airport’s best interest to stay looking as modern, clean, and welcoming as possible. That’s where a $6 billion, 20-year improvement program, aimed at modernizing and expanding the Atlanta airport comes in. One part of this program is a $200 million improvement to the domestic passenger terminal of the airport that will be led by HOK and is set to begin construction later in 2016. The renovations will include two large canopies over curbside pick-up and drop-off areas and a redesigned atrium space in the center of the terminal. BIM (Building Information Modeling) Technology is at the core of the hotel construction revolution, and is one of the most promising developments in the architecture, engineering and construction (AEC) industry to date. BIM technology, when combined with Virtual Design and Construction (VDC) practices, allows architects to input their design into a software program that can model a virtual replica of the finished building. With highly accurate models available to the design team at the earliest stages, the entire teams can have all systems pre-coordinated during the design phase. This eliminates both risk and rework during the assembly process, ultimately boosting the bottom line. Cost modeling, an algorithm-based process of estimating the complex expenses of a construction project by analyzing fixed and variable factors, can provide the clarity and direction that get a project off on the right financial foot, putting the facility development on the road to profitability. While there are two established approaches to this—one focuses on cost-per-seat, the other on cost-per-square-foot—there are compelling arguments why relying on just one of these methods may lead to inaccurate conclusions. Vendor Relationship Management is the discipline of managing vendors in a consistent manner to maximize value and construct agreements that reflect how an organization wants to do business. A carefully chosen vendor management system will provide clear scope definition, contractual rights, a cost structure, a payment mechanism and a dispute resolution process. These systems typically have a complex IT solution to support daily management. This article will demonstrate how a capital project realizes vendor value in the selection phase, prior to implementation. One problem aging bridges face is corrosion from the elements and salt from the roads. Corrosion often occurs at the end of beams in the superstructure of the bridge – the part that supports car traffic. Engineers usually use steel plates to patch up bridges. But that approach can be expensive and time-consuming, yielding lane closures and congestion. Another problem with traditional infrastructure repair is that engineers and maintenance crews are still using methods that they used a half-century ago, Zaghi said. New member listing as of April 11, 2016. Nov. 14-16, Certification Workshop, Charlotte, N.C.